As we reach Episode 15 of The Matt ‘N’ Jeff Radio Hour, today’s guest might seem a little bit unusual at first glance. But if you’ve been following along as we’ve unveiled each installment of the Radio Hour, you’ll realize that in fact, taking advantage of the opportunity to talk music and business with Whitfield Crane of Ugly Kid Joe falls right in line with what this podcast has always been about. What is common about each of our conversations that we’ve had along the way during the first 14 episodes is that we’re always seeking to get insight into not only the latest project, but also the method behind their overall creation process. Beyond that, from a business standpoint, how did they get it done? What sort of challenges were encountered along the way and if there was a period of rebuilding, how did they face that? These are some of the topics that we touch on during our conversation with Whitfield, who joined us on the phone to talk about Stairway to Hell, the first new release of material from UKJ since Motel California in 1996. Stairway is a hard hitting set of tunes, featuring six new studio originals, plus a handful of acoustic tracks rounding out the disc. What might be most surprising to some, is how well this new material fits with today’s current crop of bands who are receiving radio play. We’ve included a couple of song samples in the podcast of two tracks from the disc (“Devil’s Paradise” and “Love Ain’t True”) and you can also check out a couple of videos below. 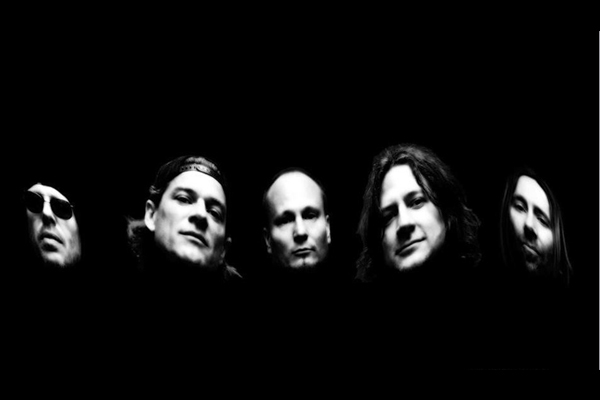 Ugly Kid Joe will be touring in support of Stairway to Hell and we got a chance to talk a bit in that vein with Whit to extract some of his choice memories from touring with Ozzy Osbourne and Van Halen back in the day. Our thanks to Whitfield for taking the time to talk with us!